It's only the best minigame server on Minecraft console edition! EVER!! the best version is the one your looking at. 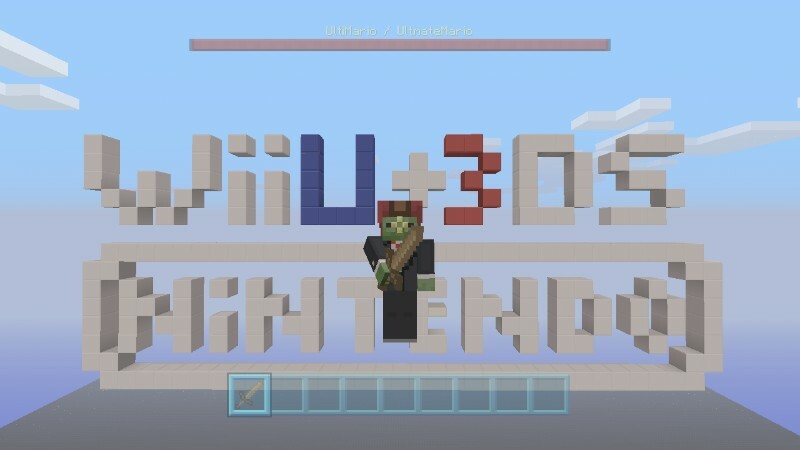 The Wii U version of the server! I've got Hunger Games, Spleef, Sky Wars, Build battle, TNT Spleef, Creative PVP (I made that one up!) and more coming soon! but hurry I already have almost 100 friends! (the limit of friends.) so hurry my Nintendo Network ID is Ultmate_Mario and if you want to join on PS3 then you can! and if you want to join on Xbox 360 then... you cant. xbox live is EXPENSIVE and a BIG wast of money! but you can sill join on Wii U! so JUST DO IT!!! are you on Xbox, PS3, or Wii U? on Xbox its "UltmateMario" but on PS3 and Wii U its "Ultmate_Mario" and this isn't a PC server yet. Theres no i in "Ultmate_Mario".